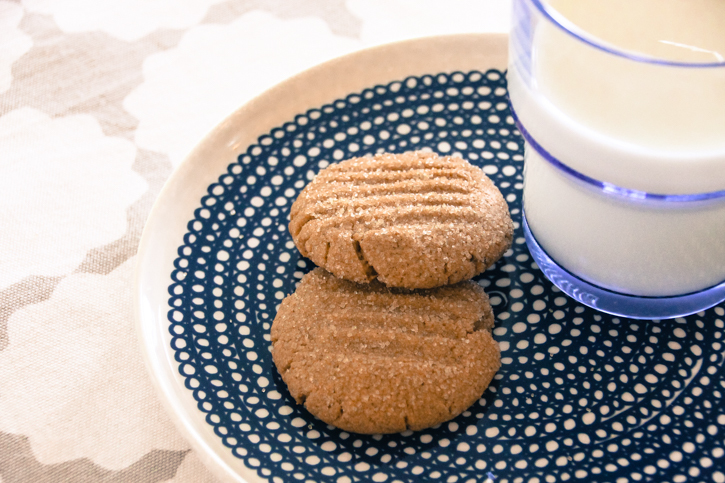 A lovely friend of mine bought her first apartment this week and what better way to help make a house feel like home than with a freshly-baked spice-laden ginger nut biscuits. We all know that feeling; aching back and frazzled mind after weeks of packing, cleaning, waiting, moving, unpacking, panicking and collapsing on to the sofa surrounded by boxes and the realisation you hate all your old stuff. All you need is visitors to bring you delicious food and an offer to move a book shelf into place. And then to be left alone to devour the remaining biscuits. In that case, I’m your man. You can make this recipe totally by hand if you prefer, but I’m more inclined to throw the lot into the KitchenAid and be done with it. I’m impatient and would rather the machinery manage the tedious combining of butter to flour. Combine the all the dry ingredients (excluding the raw sugar crystals) in a mixing bowl and mix on low speed until well combined. Add the butter all at once and on low speed mix until it is well rubbed into the flour and resembles damp sand. 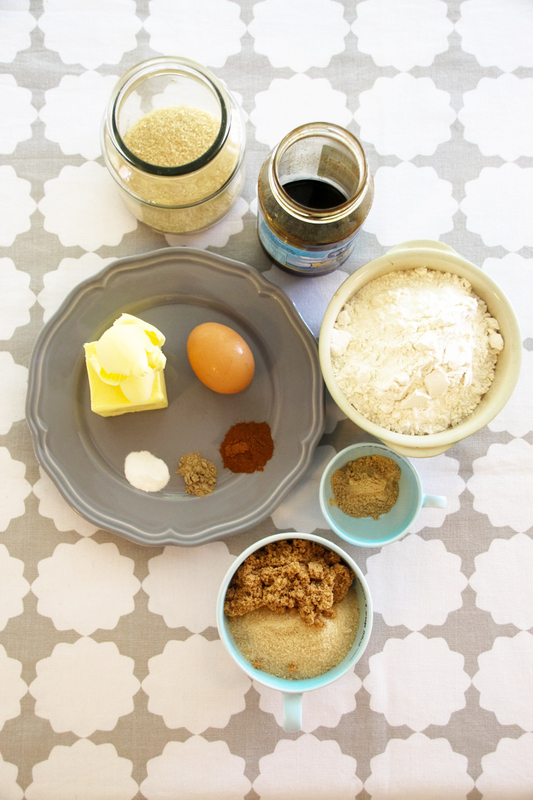 Beat the molasses and egg together to combine and add to the mixture. Once combined increase speed a little and mix until a stiff dough begins to form. Once you have your mixture rattling around in a ball, you’re done. 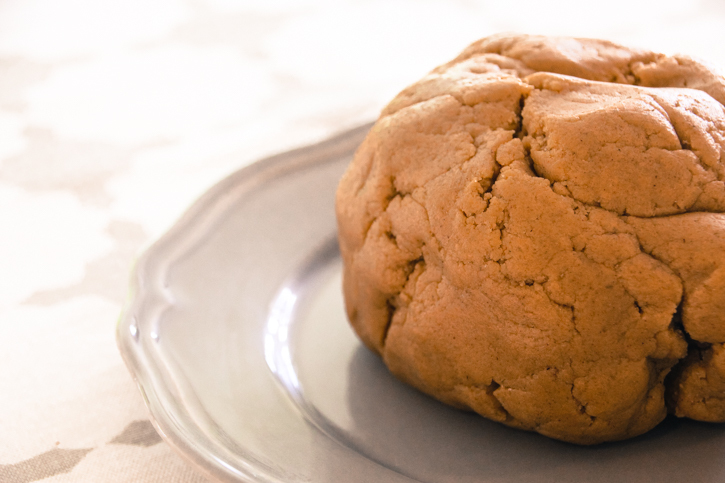 Take a teaspoon sized piece of dough and roll into a ball. Flatten against your palm and place one side down into the raw sugar crystals, and repeat. Gently flatten the raw biscuits a little more with the prongs of a fork. Bake for 20 minutes until slightly golden around the edges. They won’t colour deeply, so don’t be tempted to overbake or they’ll become a little too rock-like on the teeth. 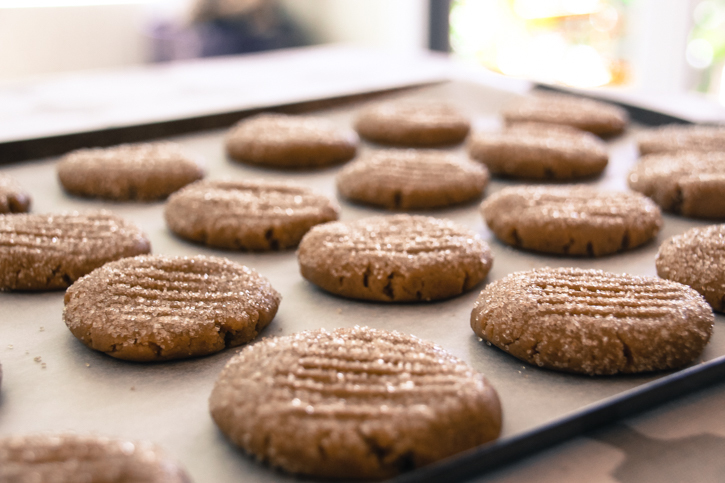 Allow to cool for 10 mins on the tray before moving to a cooling rack. Package up along with your furniture moving muscles and deliver the taste of home to anyone who needs it. They appeared to do the job with resounding praise: ‘This is how biscuits are supposed to taste’. 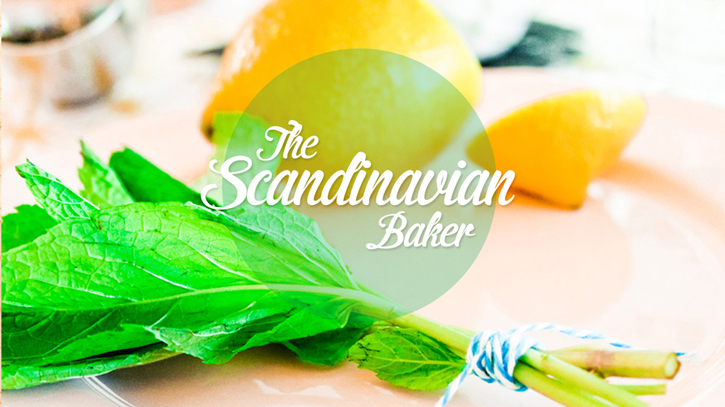 The start of a new year is the perfect time to look back at some of the favourite recipes here at The Scandinavian Baker. The ultimate in Finnish baking. There’s nothing quite like a slapped ear in Finland, I’ll be honest. They’re everywhere. Old people with slapped ears, children, students, and tourists… the Finns are dishing them out to anyone who asks and some who don’t. It’s a national pass time. 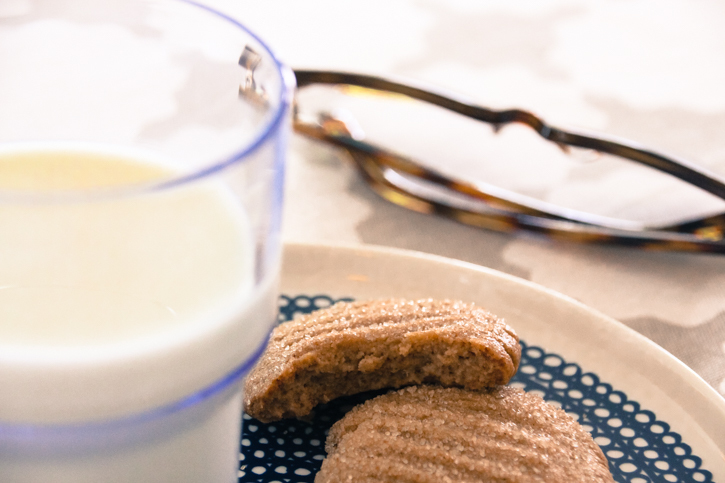 The perfect go-to recipe for a sweet fix. Preserving food is big in Scandinavia, and it’s easy to understand why. The seemingly endless frost-gripped winter, devoid of light and anything fresh in the garden lends itself to storing delicious preserves made from the sun-drenched summer harvest and roadside foraging. My all time favourite treat. 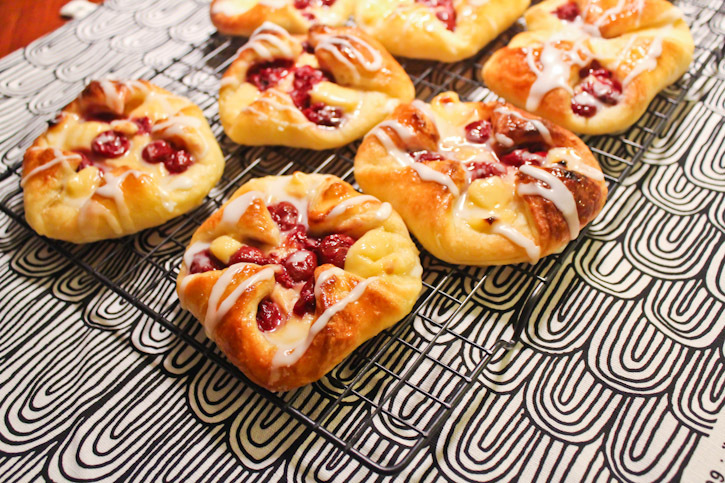 Danish pastries are my weakness. I love them, always have. My Dad and I used to frequent our local Hot Bread store on Saturday mornings to buy said hot bread; usually a Vienna loaf or similar, scorched a little on the crust. We’d eat it piled high with paper thin slices of pastrami from the deli next door and I couldn’t imagine a better lunch at the age of eight. 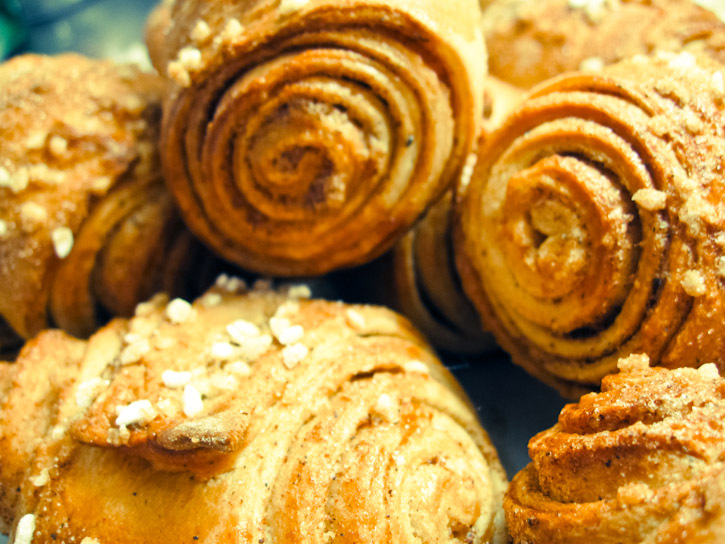 Pastries would also be bought for afternoon tea (or the ride home) – always apricot for me. No more flipping for you with this take on a breakfast favourite. If you love pancakes for breakfast, but can’t be bothered with the pouring, flipping and repeating while your hungry relatives eye-ball you from the table, then this one is for you. It’s a one pan wonder and while its form may be unfamiliar it packs a punch of heart-warming pancakey comfort food flavour that will have you adding it to your regular repertoire. Thanks so much for reading, sharing, baking and eating your way through the blog this last year. Here’s to another year ahead of delicious and surprising treats from far off lands and those a little closer to home. When you’re travelling abroad the strangest things pop into your mind. A fragrance or flavour sends you right back home on a one way ticket to nostalgia-ville without a moment’s warning. I’m a big fan of taking home grown treats with me as travel presents; and biscuits from my childhood weigh heavily in my suitcase. Enter the Iced VoVo. Tooth-achingly sweet pink-fluffy-delight that still stands proud amongst the increasing competition of the biscuit aisle. What better treat to combine into cake!? 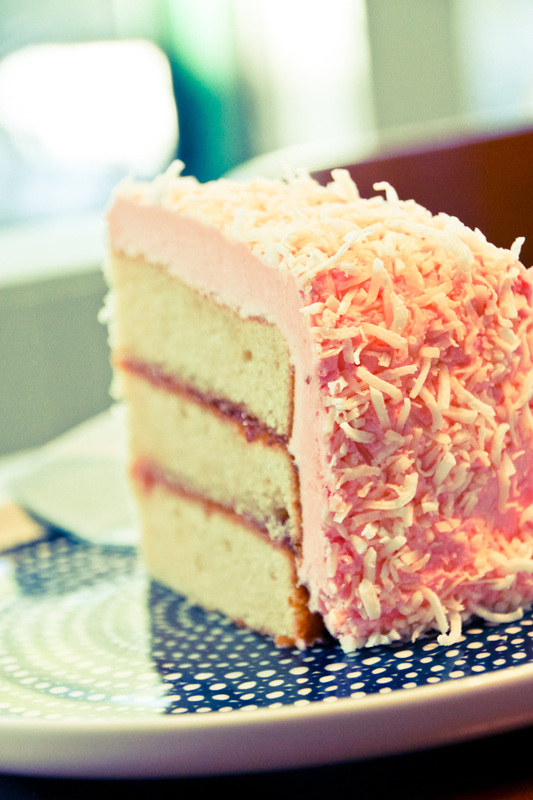 Coconut and Raspberry Jam (Iced VoVo) Cake. The greatest thing about a French butter cake is its diversity and ability to hold its own against any flavouring you’d care to throw at it. Dense, yellow and buttery it’s a favourite staple for me and always goes down a treat at a picnic. 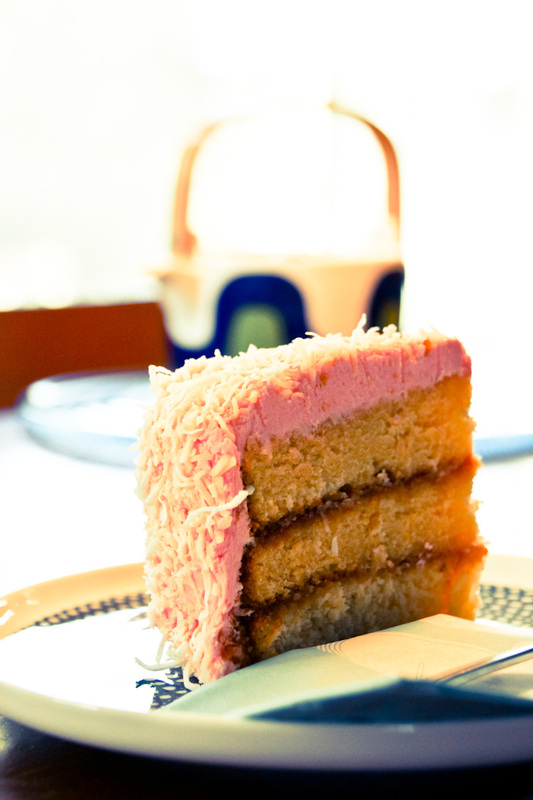 This version combines punchy raspberry jam, coconut, malted milk and pink in a homage to the much loved but rarely admitted to Iced VoVo – a total stand-out Aussie classic. Combine the butter and sugar in a mixing bowl and beat until very pale and light. 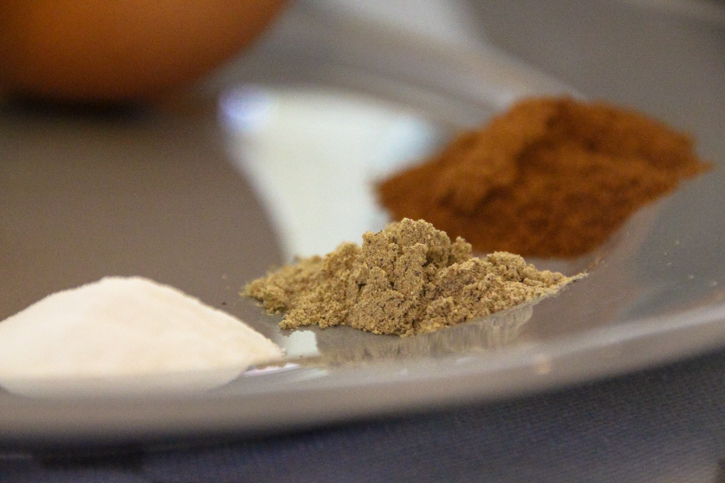 Reduce the speed of the beater and add the eggs one at a time, mixing well between each. If the mixture looks like it is splitting add a little flour to help bind it back together. Sift together the salt, flour and baking powder and add to the batter alternately with the milk. Once combined add the vanilla and mix well. Spilt the batter between you cake tins and smooth the tops. Bake for 20-25 minutes. You may need to adjust the time if you are using on y two cake tins. The cakes are ready when risen and golden and slightly shrinking away from the edges of the tin. Allow the cakes to cool for 15 minutes in their tins before removing. In the meantime prepare the icing. 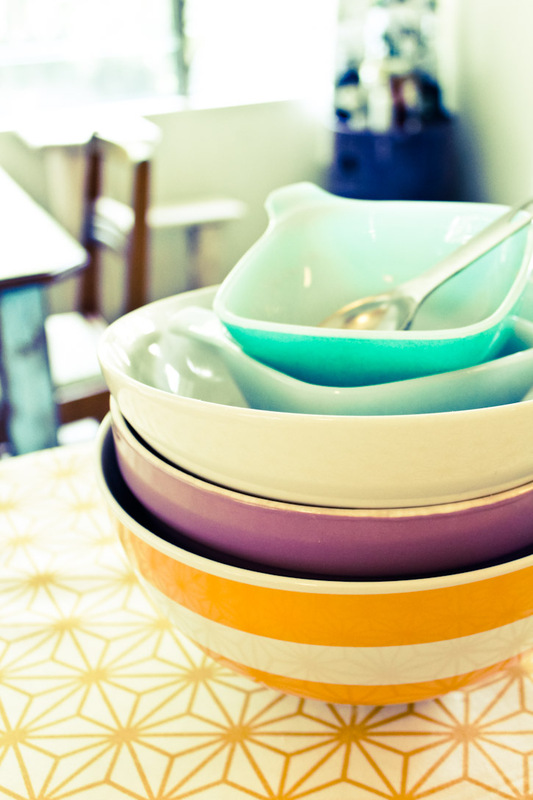 Place the butter and salt into a mixing bowl and beat on a slow speed until smooth. 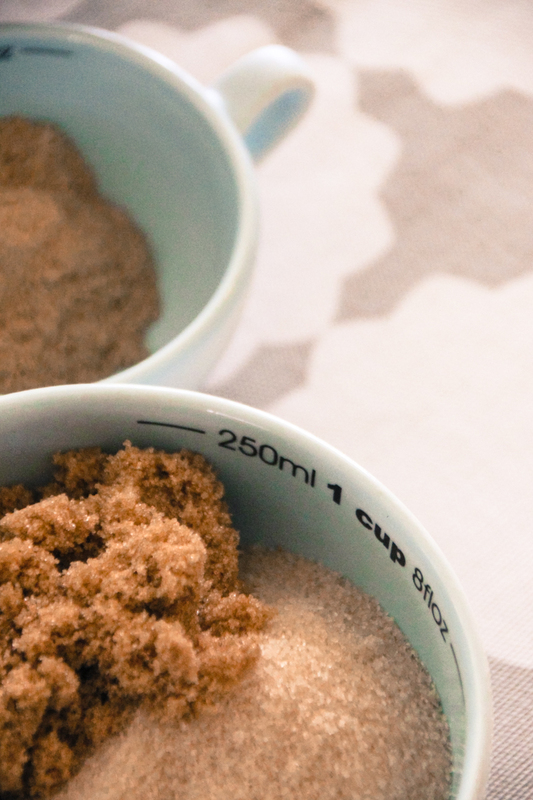 Gradually add the sifted icing mixture, a quarter at a time until combined. Increase the speed and beat on medium high for 5-7 minutes until very pale and fluffy. Add the food colouring one drop at a time until you have the desired colour. I use food grade gel colours. The result is intense and they won’t water down the mixture too much like liquid food colour can. Once ready place the first cake layer on to a cake stand, securing with a dab of icing beneath to stop it from slipping. Spread a generous layer of the jam on top of the first cake. Place the next layer on top and repeat. To avoid huge chunks of cake and crumbs coming loose when you ice it, spread a thin layer of icing on the cake and place in the fridge for half an hour to set. This creates a base coat to better take the icing. 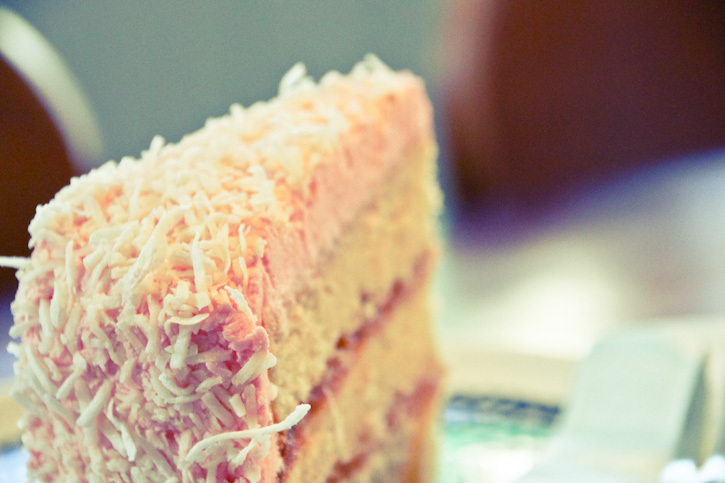 Once set slather with the rest of the pink fluffy icing, smoothing the top and sides. Once complete gently coat with the coconut and return to the fridge for half an hour to set. 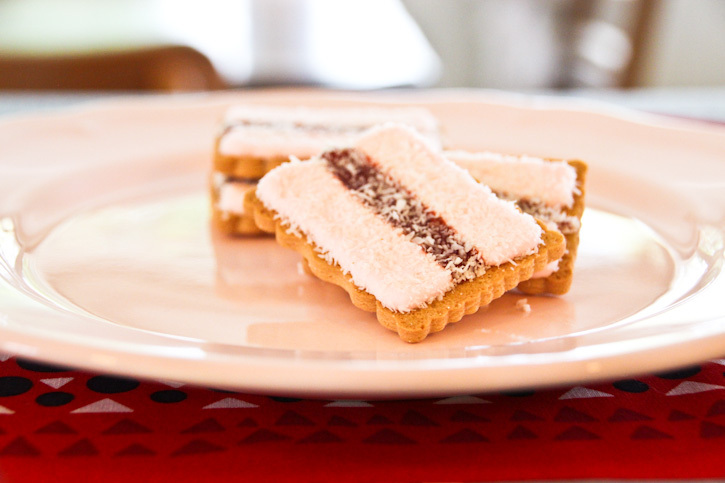 When you’re ready to take that trip down memory lane and dive in to the nostalgia of an Iced VoVo, take out of the fridge and serve at room temperature. And try to resist more than one slice. 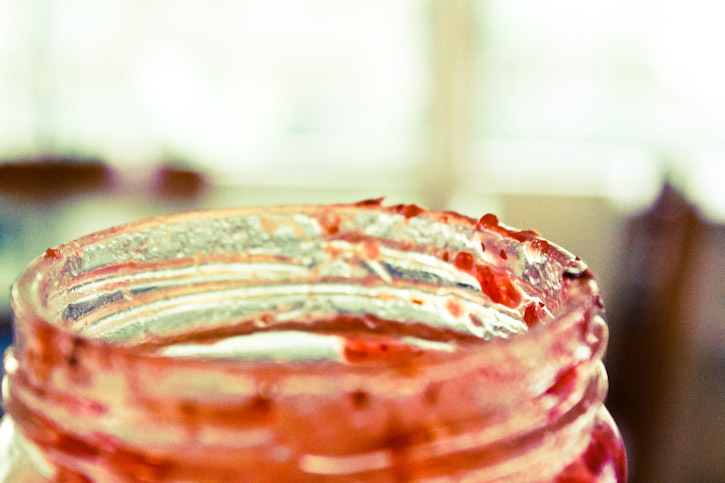 So, what to do with an orchard full of fruit you’ve transformed into jam? It’s no secret to anyone who knows me that I’m addicted to biscuits. For me they’re better than any chocolate bar or bag of sweets. I soon discovered, however, that the over the top range I was used to in Australia was not matched in any capacity in Finland. Our local store had about three varieties of mostly plain keksit, and nothing remotely like a shortbread cream. Thankfully the Jam Drop knows no borders. Phew! In a stand mixer cream the butter and sugar until pale and fluffy. Add the egg and vanilla and mix until well combined. Add the sour cream and mix again. Gradually add the dry ingredients and beat until the dough comes together and begins to pull away from the sides of the bowl. 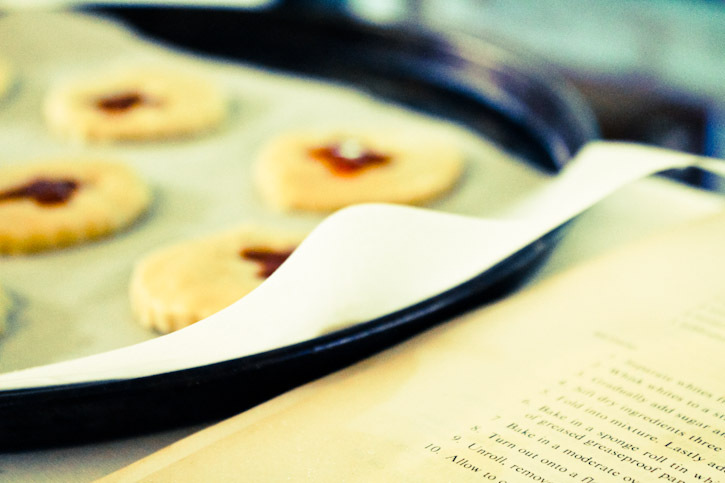 The dough is stiffer than a usual biscuit dough but if it does look too soft don’t be afraid to add a little extra flour until it forms a ball. It’s hot here, and if it’s hot where you live you’ll need to rest the dough in the fridge for 30 minutes or so before rolling out otherwise it may begin to melt and stick to everything. Not pretty. While the dough is stiff and can be rolled, it’s still quite a pliable mixture and you’ll need to be gentle with it. 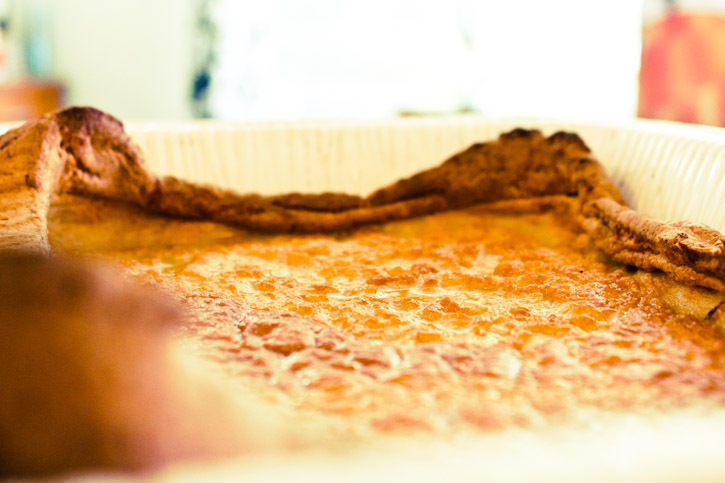 Once relaxed – you and the dough, place between two sheets of baking paper and roll out to half a centimetre thick. 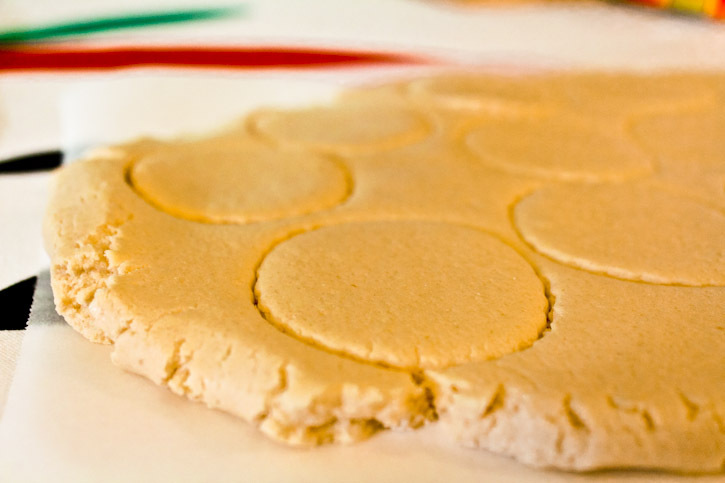 Cut out as many biscuits as you can and then re-roll to use the rest of the dough. 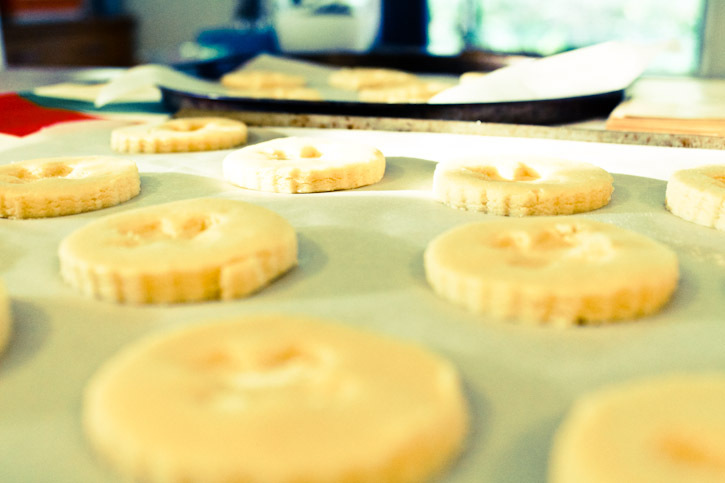 Place the cut biscuits on to a baking sheet leaving a little room between each one for spreading. For this recipe I used a combination of lingonberry and damson plum jam, as I had both on hand. 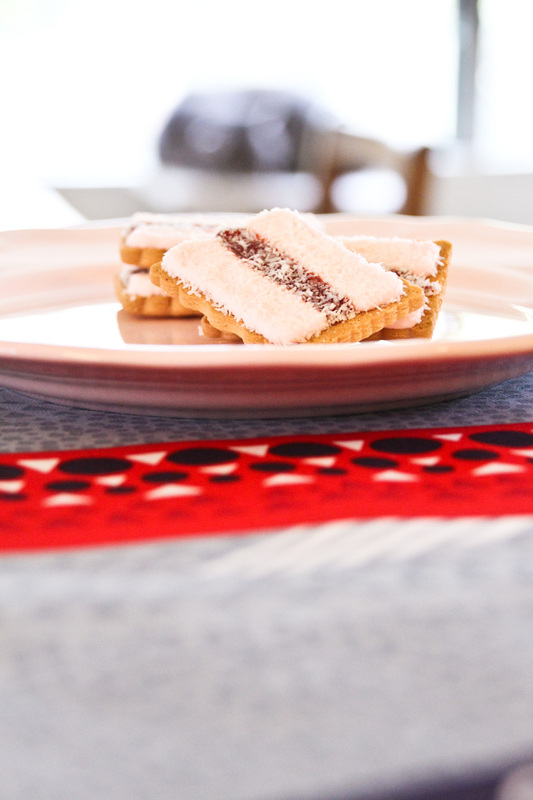 The lingonberries have a delicious astringency that works perfectly with the delicately sweet biscuit. If you’re all out of freshly harvested lingonberries just nip down to IKEA and pick up a jar of ready-made jam. Any jam will do, although if you’re using a thickly cut jam blitzing in the food processor first will give you a more consistent result. 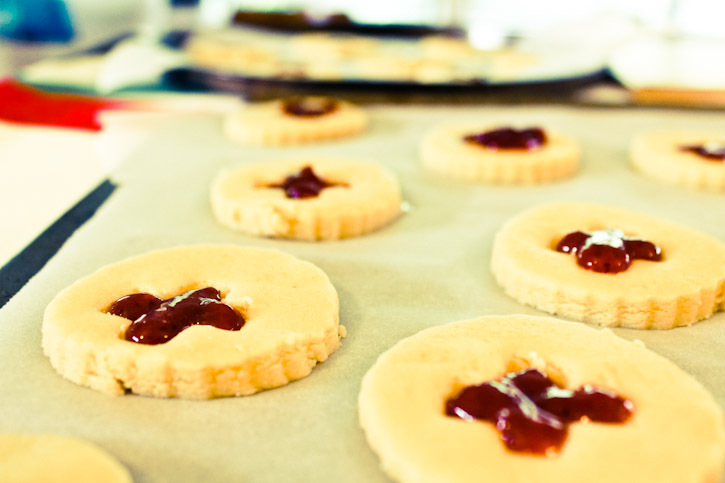 Using your thumb, or any shape at hand, gently press down into each of the biscuits to make an indent for the jam. 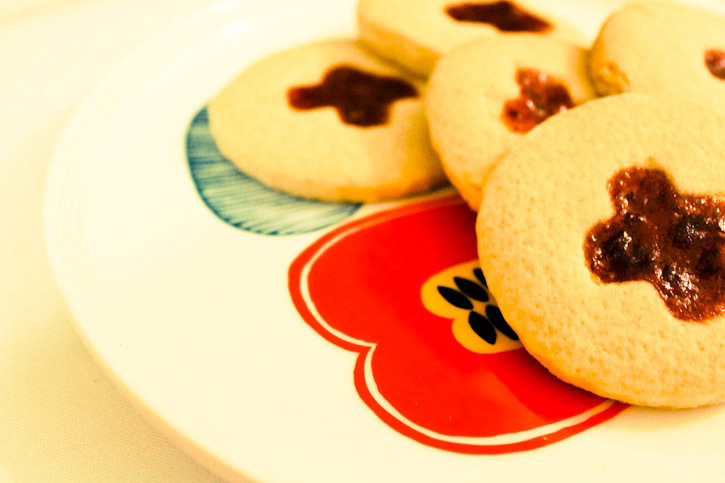 Place a scant teaspoon full of jam on each biscuit. 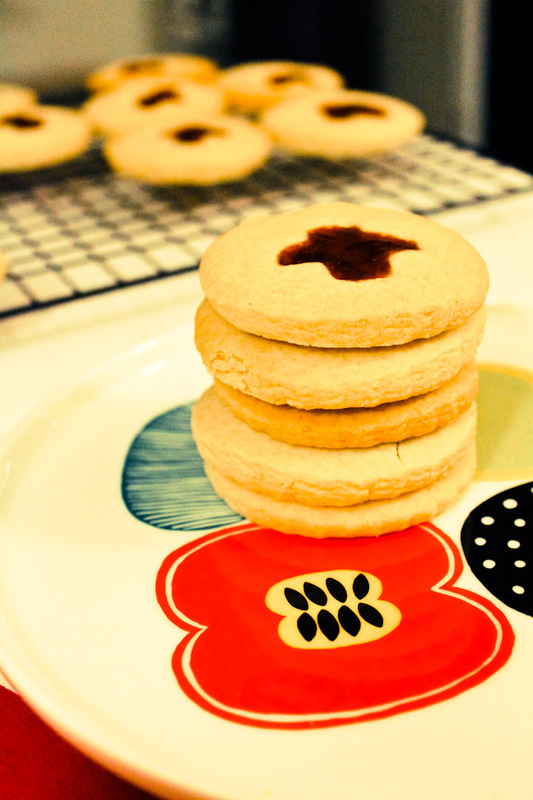 Don’t overfill as the jam with spread in the oven and make itself at home in its biscuity hollow. Bake at 170-180c for 15-20 minutes until lightly coloured. They’ll continue to harden as they cool. Once cool enough to handle transfer to a cooling rack and try to avoid eating the entire batch in one sitting. On second thoughts make another cup of tea, fill a plate with jam drops and think of the summer’s harvest to come.